How to apply: interested candidates who are eligible according to the advertisement should forward their application in the prescribed format along with a recent passport size photograph affixed on the application. The application must be accompanied with self certified copies of certificates in support of their age, educational qualification, experience, salary, caste, disability etc. 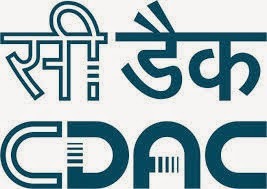 The application should be sent by post addressed to HRD Executive, Centre for Development of Advanced Computing [CDAC], Anusandhan Bhawan, C-56/1, Institutional Area, Sector-62, Noida – 201307 (U.P. ), so as to reach on or before 22-10-2014.